Packages of reliable Phone Systems for small to mid-size business. 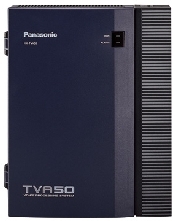 The KX-TDA50G Hybrid IP PBX is a great fit for offices with up to 24 phones. 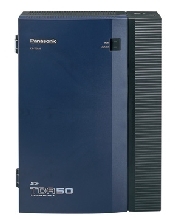 There are (3) KX-TDA50G packages available through June 30, 2010 or (WHILE DISTRIBUTOR SUPPLIES LAST). (Click on the thumbnail for a larger picture and more details on the equipment). Although we would love to advertise the incredible deals we are offering on these Panasonic system packages we can't due to our being a Panasonic Dealer. So PLEASE excuse the inconvenience and CLICK on the link below to contact us by e-mail or call the 800 number for pricing. Learn how customers are using SIP Trunking to "LOWER" monthly telecom expenses! dba Cornerstone Telephony Solutions All Rights Reserved. Operating in the Charlotte, NC area since 1989.